Kevin Michael Thompson is a North Carolina based singer, songwriter, and multi-instrumentalist. His music is a weathered and worn blend of Americana, country, blues, rock, and gospel. His songs have appeared on the television shows Pawn Stars, American Pickers, What Not to Wear, and many more. Kevin’s songs sound both fresh and familiar at the same time. He accomplishes this by embracing his musical roots and influences but refusing to be limited by them. Instead, he uses his influences and a spirit of experimentation as a starting point and fine-tunes the initial creative spark into songs that blur the lines between genres. The result is front and center vocals underscored by a current of rich sonic textures mixed with vintage tones and colors. 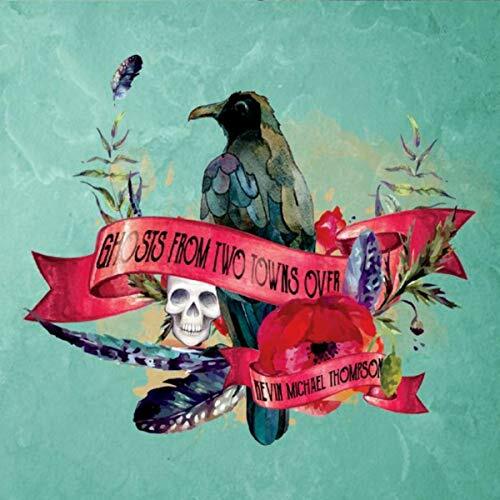 His latest album, Ghosts From Two Towns Over, delves deep into the wells of Americana music. The songs on the album range from the alt-country of Confessions, The City, and Clara (It’s A Good Life), to the vintage soul of Violet, and Better Than Before to the folksy My Oh My, My Oh Me and the gypsy-rock of Among The Thieves.